Halloween is a fun time of the year. 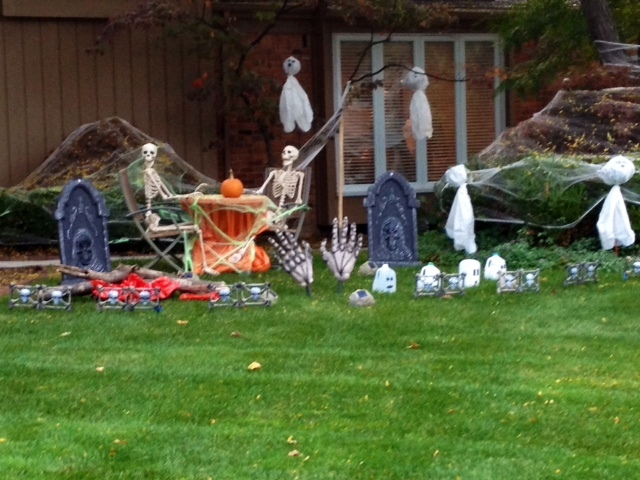 Just look at how my neighbor decorated her front yard. The decor is just as much fun as the food. I can’t wait to try this yummy pumpkin spice ice cream sandwich I found at Littleblissbook. Here’s an easy inexpensive project from lifeonlakeshoredrive. Ahh I’m so late on decorating the house for Halloween this year, your graveyard looks great though! Thanks for linking to my Pumpkin Spice Ice Cream Sandwich recipe! Let me know how they turn out for you! You might be interested in our NEW and updated range of Halloween gift ideas. Original and striking designs printed on hundreds of products… invitations, postcards, t-shirts, mugs, napkins, iphone 6 cases, etc. We use Zazzle, the world´s biggest online marketplace, to sell our designs, so quality and great customer service are guaranteed. 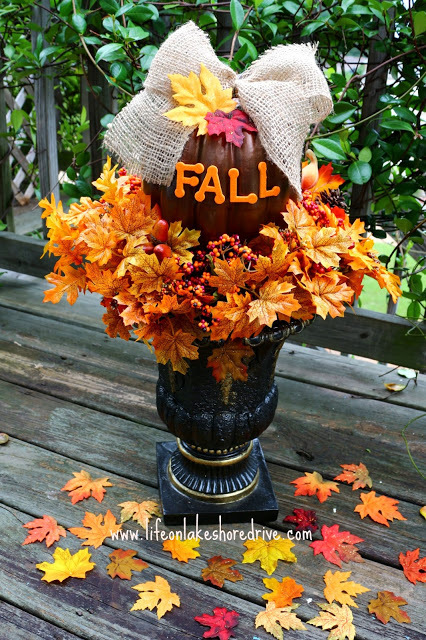 I just love the fall…so glad we don’t live anywhere else!!! Wow, that pumpkin spice ice cream sandwich looks amazing!